Face Blemishes are dark spots on the face, which appear as an aftermath of pimples, whiteheads, blackheads or other conditions that clog the pores of the skin. Extensive use of cosmetic products, unhealthy diet and lack of vitamins may add to the reasons of face blemishes. The good news is that your blemishes can be reduced and even eradicated naturally and painlessly with the help of a number of common fruits, vegetables and other home remedies. Here are 6 natural methods I have found useful in the fight against blemishes. 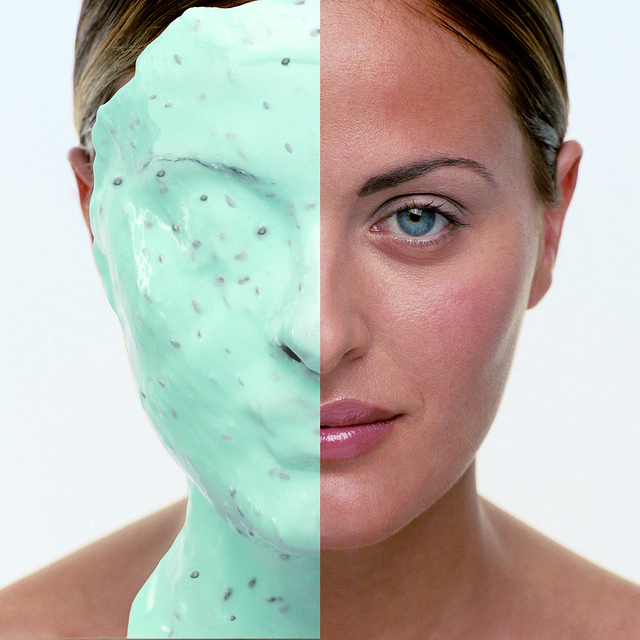 Why: Sugar exfoliates the skin and reduces the appearance of skin blemishes. When you wash it off your skin, a small amount remains in the pores and attracts water from the air, which keeps your skin hydrated -- very important for any skin blemish treatment. USe in combination with any of the following treatments. Why: Carrots are high in beta-carotene (converted to vitamin A in your body), and vitamin E – the vitamin that helps soften skin and reduces the appearance of wrinkles. Also, carrots are very efficient in skin clarifying. Recipe: Boil a carrot and mash it well. Apply the paste to your face with gentle circular motions. Wash your face after 20 minutes with milk. Alternatively, you can massage your face with carrot juice. The vitamin A in the carrot helps lighten the skin blemishes and also revives your skin. Why: For carrots, see #2. Bananas are rich in potassium, which when applied directly to the skin, will suffocate the bacteria in cells, forcing blemishes to heal and disappear more quickly. Bananas have many anti-bacterial properties which can reduce swelling and infections from other skin issues, including Psoriasis, Eczema, and even painful bug bites. You can even rub the peel of the banana on your skin to get rid of acne. Recipe: Detailed instructions via Crunchy Betty: Farmers Market Facials: Carrots! Why: Thyme has been proven to be more effective than prescription creams at treating blemishes caused by an acne bacterium. Research proves that the thyme tincture kills said bacteria within 5 minutes of application. Why: Honey has natural antibacterial and antimicrobial enzymes that kill the bacteria present in and on the skin and makes the acne scars disappear. Recipe: Rub a drop of honey well onto the blemish. Let stay for as long as possible (a few hours). Wash the skin and re-apply. Why: The acidity of the lemon juice will break the upper layer of acne scars tissue and will reduce redness and blemishes. Recipe: Apply organic lemon juice with cotton on the scars and rinse it off with warm water after 5 minutes. All the acne remedies mentioned above help in removing acne scars from the skin effectively. You can choose which one to use or you can combine them all. It won't hurt.I strongly recommend using the sugar exfoliating mask as a part of any anti-blemish treatment. Don't forget that the only way to prevent acne scars is by treating acne as soon as it develops and by avoiding squeezing, popping, and picking at pimples. Important: Be careful when trying new skin treatments on your face. Stop immediately if you have any reactions such as a rash or an increase in acne. When in doubt seek advice from a dermatologist. Carrots?!! Who would have thunkd it? Great post, thanks for sharing! Sometimes bananas increase the eczema, so it is great that they are helping your son in this case! how long do these treatments usually take to work?